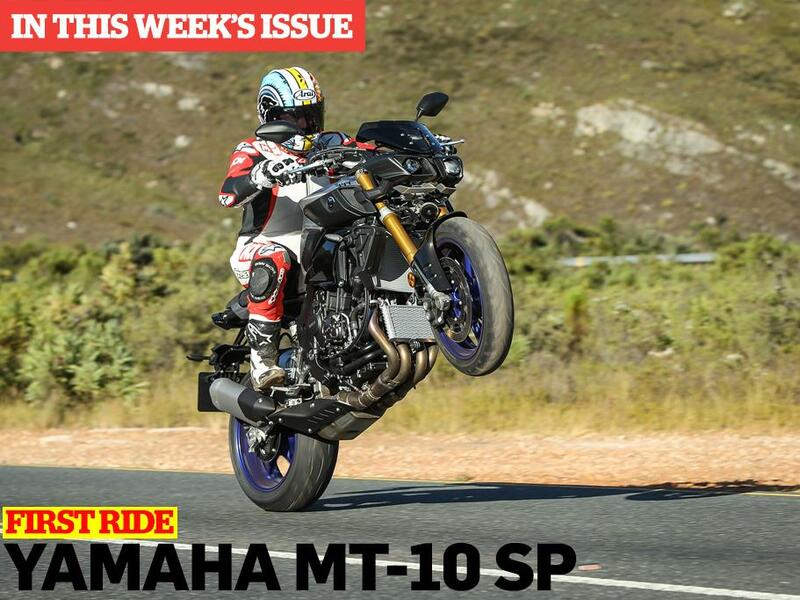 In this week’s issue, we have the world first ride of the new Yamaha MT-10SP. We already love the standard MT-10, and the SP model promises to be even better. Our 24 page #Ride5000miles supplement this week gincludes a host of useful tips and tricks to help you have your best biking year yet on the way to covering 5000 miles. Is the new breed of sporty middlweights set to return the class to is fo-it-all roots We pit the new Ninja 650 against the old GSX-R600 to find out..
Is Honda's adventure scooter a bit of a mish mash or does it work? How hard can it be to wheelie 37 miles? Last summer Dougie Lampkin made history by wheelying the entire length of the TT course. So we thought we'd see just how hard it is. All the news and gossip from the first round of the 2017 World Superbike season at Phillip Island.